This is F1Minute - Bottas leads first day of Silverstone Young Driver Test. The F1 action at Silverstone for 2012 did not stop when the chequered flag dropped for the British Grand Prix this weekend. For two days this week, teams have been given the opportunity to test at the track with their young drivers, an alternative to the post-season Abu Dhabi Young Driver test. 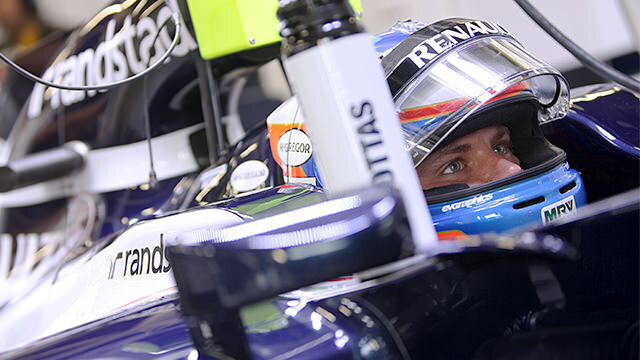 Today, Valtteri Bottas was on track for Williams, and comfortably fastest by over five seconds. He was, however, the most experienced of the four drivers taking part today, with the others testing for Marussia and HRT. The Marussia team fielded Max Chilton and Rio Haryanto, who shared the allotted time and finished second and third respectively.